Hello! The Reed is here! Part blog, part store, and part travel site, I hope you enjoy the new destination of not only this blog, but the other elements of the site as well. I will work to grow and perfect this new venture organically, but it is just the beginning and that means some items are in extremely limited supply. Please bear with The Reed's fledgling state—inventory will get deeper and hiccups will be more infrequent as time goes on and we get in the groove. 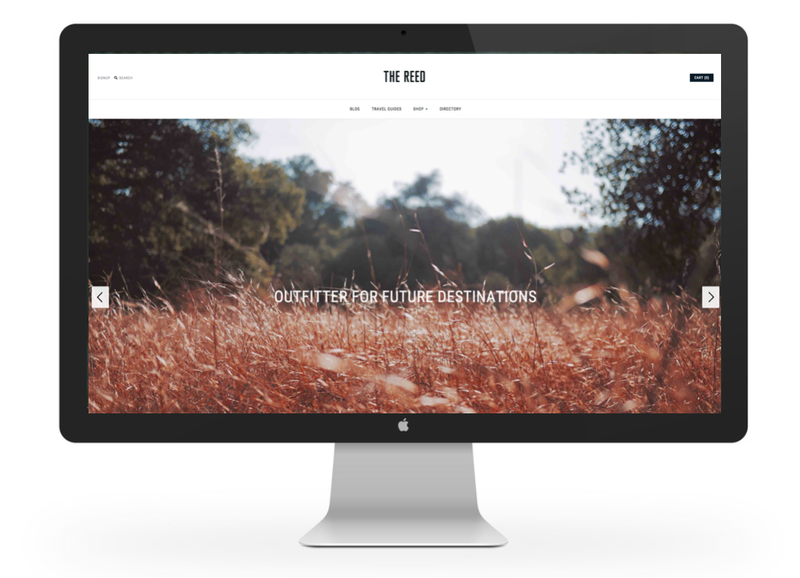 Thank you so much for being patient with this transition and being a part of The Reed as it launches! There's some really exciting things coming down the pipeline too, can't wait to share it all! Please let me know what you think once you're there...or here! you've done very well in your blog..
Congrats! You've got some great stuff on there. A request - vintage Stussy tshirt please! Congrats Lizzie! Love the evolution. Congratulations! LOVE the new shop! Awesome! Can't wait to follow along and outfit myself for summer adventures.